You are here: Home / Tweaks & Tricks / How to Save Gifs from Twitter for Offline Watching? You’d have heard many times how to download or save YouTube, Dailymotion videos in the device. But did you know how to download or save twitter video on iPhone, iPad, Android, Mac or in Windows? As you know everybody, Twitter is one of the most World dynamic social media platforms out there. Over more than 400 million people are connected on Twitter. If you are a fan of Twitter and want to download favorite tweets Videos, GiF, or Image from Twitter. 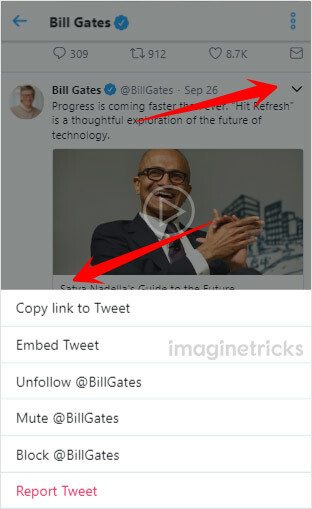 Here in this article, I am sharing cool tricks which you help out to download twitter videos on your all device easily. Before moving towards the ways, let me clear, Twitter does not provide an option to download a video. However, here are the most useful ways with screenshots to understand the whole process easier. Open Twitter Account and Go ahead on your favorite “Tweets videos”. When you reached there, Tap on “Down Arrow Icon” and click “Copy link to Tweet”. Afterwards, you need to Paste the Tweet link URL under the box. Click on Download button & Enjoy it. 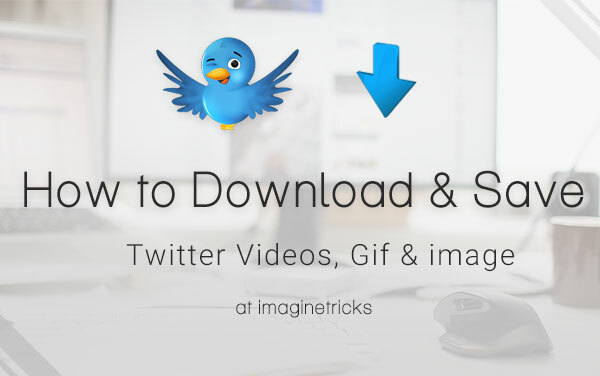 First of all, Download “Save Twitter Videos & Gif ” Apk on your Android. Now Open Twitter then choose any video, GIF or Image. Click on Down Arrow icon as you like to see on the screenshot below. 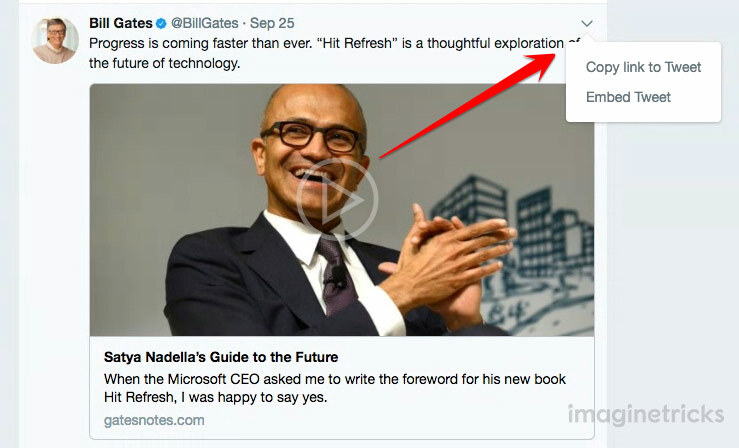 Now, Click “Copy link to Tweet”. Next, at Go to Home and Paste the Twitter Link to the button. Finally, Click on “Show The Content” then Download or Stream. If you are iOS users here is the process to download or save tweets videos easily on your device. To remind, This is a different procedure for iOS users please read process step by step and action it. Firstly, Launch Twitter on your device. Go to your Favorite Tweets videos and tap on the down arrow. Now as on the Screenshots you will see some couples of options in your Devices. Then Click on “Copy link to Tweet”. Past Tweet URL in the Box, and Hit Download Button. 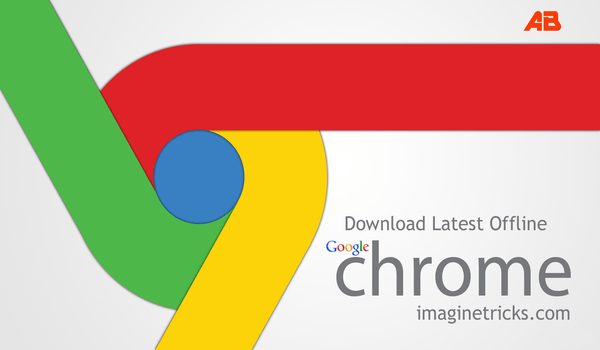 When you will click the download button the video will automatically download to your storage. So, there that now ends! I have successfully shared the guide of all devices about how to download twitter videos with GIF and Image. We would like to know, which method you are using. If you use any other methods, do let me know via comments. Furthermore, if you have found this guide helpful and worth reading then do share it with your other friends and family. Your shares could be proven helpful for lots of the users out there. So, keep sharing and keep helping others.